The Jallianwala Bagh in Amritsar. April 13, 2019 marks the centenary of the Jallianwala Bagh Massacre, counted as one of the bloodiest acts of oppression ever committed by the British Empire. A 100 years is a long time to forget — new events happen, often painting a different colour on the memories of individuals, willing them to forget the past and focus on the present. But this did not happen with the Jallianwala Bagh massacre. It is an event that is ingrained in the memory of every Indian since the day it happened. Almost exactly a hundred years ago, British troops, commanded by Brig. Gen. Reginald Edward Harry Dyer, opened fire on a crowd of at least 10,000 men, women and children, who had gathered at the Jallianwala Bagh—a park almost completely enclosed with walls and only one exit. According to the British government, 379 people were killed and 1200 were wounded. However, the numbers are said to be much higher according to the locals and many organisations. The Jallianwala Bagh massacre shocked the entire nation and united the country in its grief and anger against the British Empire. It became a turning point and had a profound effect on the people of the country who started demanding nothing less than the full independence from the British rule. During World War I, there were a number of repressive powers that were approved by the British government. When the war ended, there was growing unrest among the people of the country — wounded and dead soldiers, inflation and taxation. This led to the passing of “the Rowlatt Act”, which came into effect in March 1919 and legalised arrests without warrant, indefinite detention without trial and control of the press. This led to an eruption of protests throughout the country, especially in Bengal and Punjab where prominent Congress leaders like Dr Satya Pal and Dr Saifuddin Kitchlew were arrested. Widespread demonstrations were conducted in parts of Punjab that saw the disruption of telegraphs and communication system and deaths of civilians as well as government officials. Most of Punjab was placed under the Martial Law and public gatherings were prohibited. The well inside Jallianwala Bagh where many men, women and children has jumped into to escape the bullets. On April 13, 1919, more than 10,000 people had gathered in Jallianwala Bagh, to protest against the British Empire and to celebrate Baisakhi, one of the most important festivals of Sikhs. Gen. Reginald Edward Harry Dyer was alerted on the meeting, and he arrived there with armed troops and sealed off the exit. According to various accounts, the unannounced firing on the civilians continued for 10 minutes till the ammunition was exhausted. Many people jumped in a well inside the park to save themselves from the bullets. After the firing ceased, the troops withdrew from the location immediately, and the wounded and the dead were left behind, who could not be taken to hospital because of the curfew. Though the official figures claim that 379 people were killed, many organizations, including the Indian National Congress and an independent fact-finding team led by Mahatma Gandhi himself, the total number of dead men, women and children crossed 1,000. An investigation was carried out and General Dyer was ordered to resign from the military. However, General Dyer was given a sword with the motto, “Saviour of the Punjab”. A hundred years have passed since the fateful day, but the scars remain fresh for India, especially for the people in Punjab. 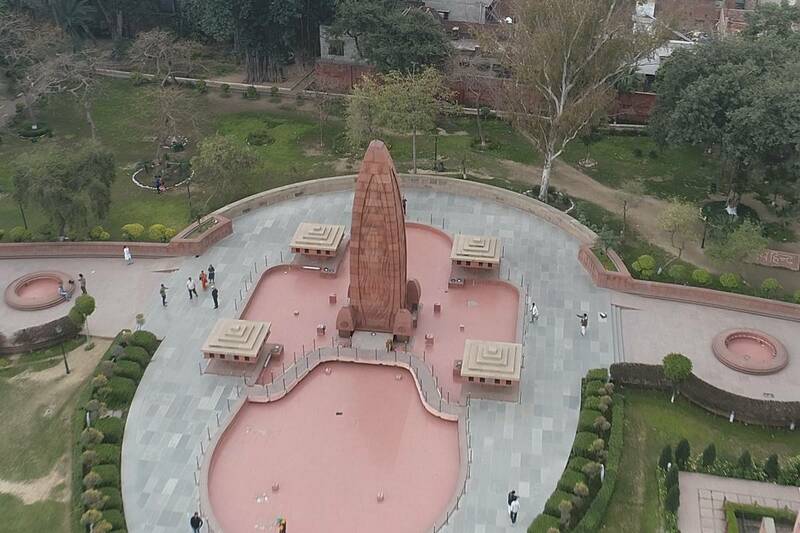 In February this year, the state passed a resolution to seek an apology from the Government of Britain for the Jallianwala Bagh massacre to mark the centenary. In 1997, Britain had for the first time acknowledged the massacre. Queen Elizabeth II, during her tour of India and Pakistan to mark 50 years of their Independence, visited Jallianwala Bagh to pay respects to the victims of the massacre. The British Queen did not offer an apology. Years later, the then British Prime Minister David Cameron too visited Jallianwala Bagh. He described the massacre as a “deeply shameful event in British history”. Cameron, too, did not apologise. This year, the British Parliament saw debates on the issue and several of its members were of the view that it was high time Britain offered a formal apology. On 9 April, Conservative Party MP Bob Blackman tabled a fresh debate and the members at Westminster Hall of the Parliament complex debated the issue of a formal apology to mark centenary of the tragic incident. “General Dyer was vigorously defended by – I say this with shame – the Conservative party, as well as most of the military establishment. He evaded any penalties post inquiry, as his military superiors advised that they could find no fault with his actions, his orders, or his conduct otherwise,” Blackman said. Britain once again stopped short of tendering a full apology.